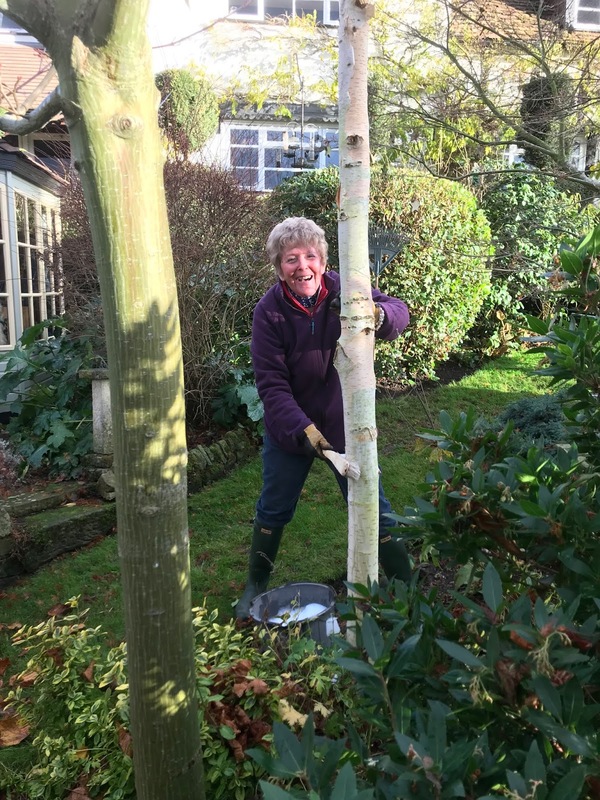 Pear Tree Cottage: Shampooing and Rescuing Trees!! 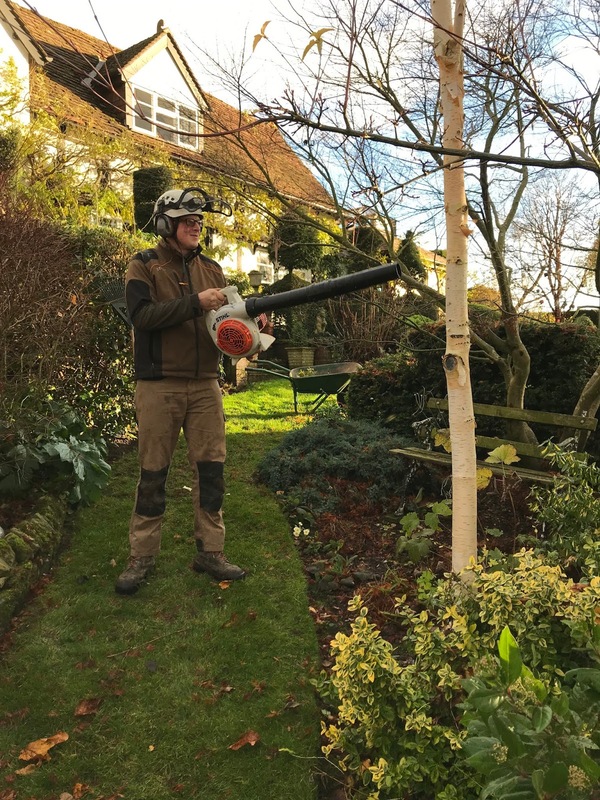 Head Gardener has been off duty for a week and has been exploring gardens in foreign parts! This week, it was back to work as usual and first on the agenda was to rescue the O'Leary Pieris which blew over in high winds. It was planted down in the Sofa Border and looks a treat. It now has much more room and should really thrive. Sadly, the beautiful pot was beyond redemption - sigh! 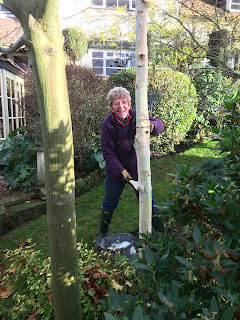 I got a lot of flack from Chris when he spotted me with a bucket of soapy water, brush in hand scrubbing the thick green algae off silver birches! OK maybe I should get out more! As if I wasn't bad enough, he then gave them a blow dry with the leaf blower! Shampoo and blow drying trees!! I ask you!! Joking aside: at this time of year when the sun is low in the sky, they look absolutely dazzling now that they're free of all the green algae which had collected on the bark. Worth doing as they're on full view when standing at the kitchen sink!! One is a Silver Queen and the other two are Jacquemontii's. Well worth the trouble despite all the banter!! Chris being just as bad!